This is the summary of consumer reviews for Exerpeutic 440XL Super Heavy Duty Walking Treadmill with Wide Belt. The BoolPool rating for this product is Very Good, with 4.30 stars, and the price range is $369.00-$499.99. 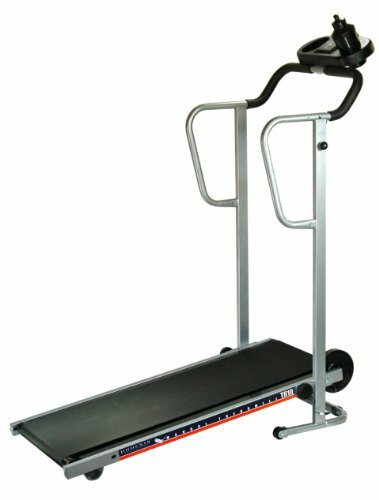 The Exerpeutic 440XL Super Heavy Duty Walking Treadmill is meant for people who love to walk to get their exercise. 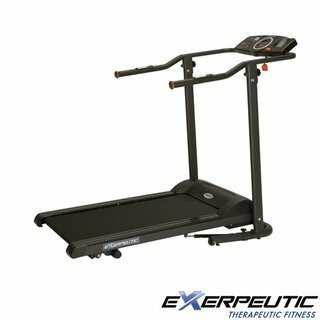 Walking on the Exerpeutic 440XL is one of the easiest and most effective ways to achieve a regimen of regular exercise. This machine is built strong enough to allow 400 lbs. of weight and a wide belt makes it safe for people of any size to walk on it. 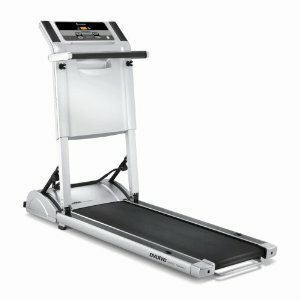 The 440XL has extra long safety handles which are 18" long, more than 2 X the length of other typical treadmill handles. There are speed control buttons and on/off buttons on the handle bars for convenience. 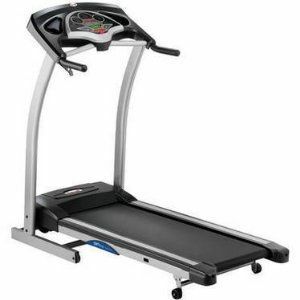 The Exerpeutic 440XL Super Heavy Duty Walking Treadmill is very easy to assemble and operate. The performance is good and it monitors your heart rate as well as the time and distance you've walked on the treadmill. The speed on this machine adjusts in increments of 1/10's mph up to a maximum of 4 mph and it features 2 position manual incline. 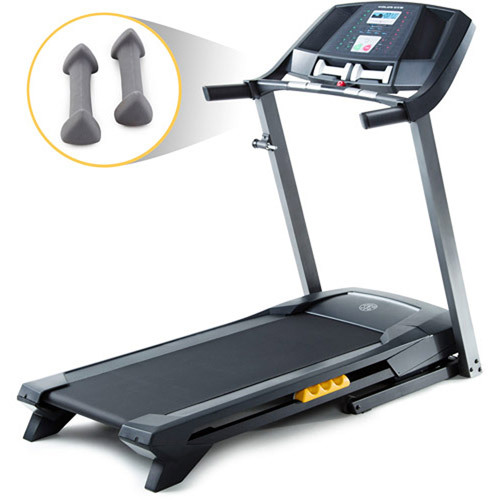 The compact size and folding design of the Exerpeutic 440XL Super Heavy Duty Walking Treadmill also make it easy for you to store when not in use. A LCD display window features elapsed time, distance walked, calorie burn, speed and pulse monitoring. However, some user reviews say that on/off button broke after some time. In some cases, machine stopped working after sometime. Also, some users find that they may need to slouch over to reach the extra long handles. 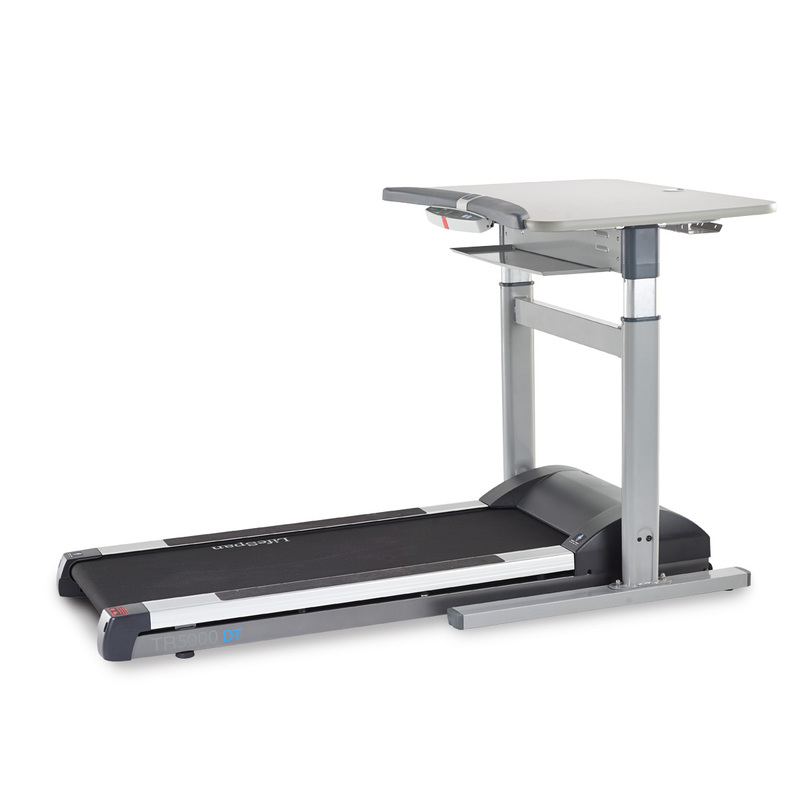 Overall, the Exerpeutic 440XL Super Heavy Duty Walking Treadmill with Wide Belt is offered at a great price, and operates as expected. It has quiet operation and is very comfortable to work out on especially if you like taking long walks. Unlike outdoor walking, treadmill fitness walking has the benefits of shock absorption and the convenience of exercising in your own home, in front of a TV or just listening to your favorite music or browsing on your laptop. This's a walking machine for light users, perfect for me. With the expected limitations, due to the price. 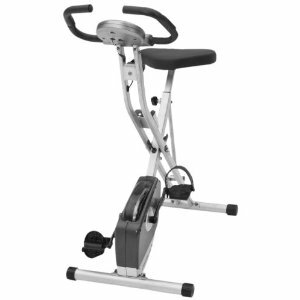 The price is good, it holds up to my weight as stated and it's more fun then I expected!. Great Treadmill for the price. Would be perfect if the speed went up to 4 mph.Had trouble attaching the computer because of all the wires needing to be squeezed into a small hole. It's certainly lived up my expectations. I needed something to hold on to and bear weight on too.This treadmill fits the bill it's large and roomy, nice long walking belt and can even be converted to hold a small table on the handles for a laptop which my hubby is fixing up for me now. For the price, this treadmill is an outstanding value. It's built well and has a lot of display functions, the handles are extra long with controls on them for on/off, speed up/down, heart rate monitors that read out on the display. The only thing I'd change is making the slot below the computer read out longer so the wire's can fit better. Easy to assemble and works great. It can handle heavier weight and is SUPER quiet and takes up little space. It was simple to assemble and takes up very little space. I'm heavy and it handles my weight easily. Easy to assemble and use... also, smooth and relatively quiet. 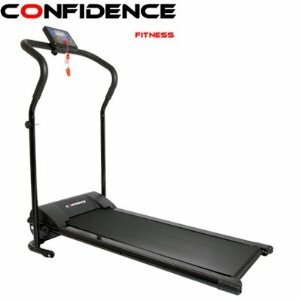 I took my time and compared many treadmills before purchasing one. It's a really nice machine and I can't believe how quiet it's. Real easy to operate. No regrets here - I'd highly recommend it. The wiring really does fit it just takes some patience and time. 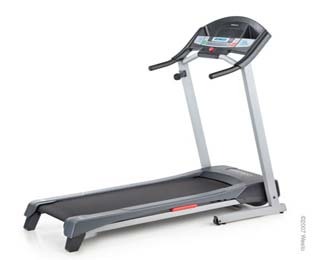 After comparing and reading reviews on various treadmills, I chose to purchase this one. i can walk on it, see how far / long i walked. Safety handles are padded, plenty long with nice, wood end plugs. I can only walk short distances, so I need to walk several times a day; this works perfectly for my needs. I can easily walk on it and monitor my heart. i can walk easily on it from a slow walk to about 2.5 mph without my feet coming near the end of the tread. I wanted a treadmill for my home living room so I could walk while watching TV. I usually walk daily, but due to weather conditions and the mere fact that it just isn't safe for a woman to walk alone these days, this treadmill fits the bill. Has everything my husband and I need: Heart rate, timer and how far you've walked. I've Meniere's which makes it hard for me to just walk out the door and go for a walk. Now I walk every time I surf the net. My first problem is the on/off switch quit working. No data on computer, start button doesn't work. The treadmill works fine and meets all expectations. It worked for 7 minutes then quit, displaying the E2 error. ALSO ONLY WORKED OUT ON IT FOR 15 MINUTES AND COULDNT GET IT TO WORK AGAIN. No big surprise, it didn't work. This one really works for that. Only had the unit a couple weeks but has worked great. HAVE TO SLOUCH OVER,WHEN WORKING OUT WITH MY HANDS ON HANDLES. Took it out of the box with not problem and it worked. Compact size, quiet, well built, easy to assemble, and easy to operate. Simple easy to set-up super easy to use. It was super easy to assemble. The treadmill is quiet and easy to operate. The Treadmill was easy to set up and easy to use and store.